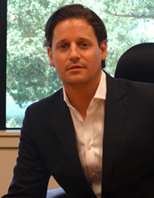 Mr. Klopfer is the Commercial Director of Navig8 Americas and oversees Navig8 Group's operations in the United States. In addition to his responsibilities in his current position, Mr. Klopfer played an important role in extending Navig8's global commercial platform and sector expertise to form Navig8 Chemical Tankers (N-OTC: CHEMS), Navig8 Product Tankers (N-OTC: EIGHT) and Navig8 Crude Tankers, a predecessor to Gener8 Maritime (NYSE: GNRT). Mr. Klopfer also currently serves as the Chief Operating Officer of Navig8 Product Tankers. Prior to joining Navig8 Group in 2012, Mr. Klopfer served as a Managing Director in the Spot Tanker Division of Poten & Partners, Inc., the world's largest privately held ship brokerage company. At Poten & Partners, Inc., he developed a brokerage strategy that more than doubled the company's spot tanker market share during his tenure. Prior to Poten & Partners, Inc., Mr. Klopfer was a Vice President at Overseas Shipholding Group (NYSE: OSG), where he oversaw the commercial management of the Aframax International pool, a fleet exceeding 50 vessels. He also served as Vice President of Tankers International's VLCC/ULCC pool while at OSG. Mr. Klopfer began his career with McQuilling Brokerage Partners, Inc., as a Chartering Shipbroker. Mr. Klopfer holds a Juris Doctorate from the Hofstra University School of Law (New York), a Masters of Business and Finance from Hofstra University (New York) and a Bachelor of Arts degree from Loyola University (Maryland). He is a registered Attorney in the State of New York.